Profits for the coffee chain Starbucks fell by 97% in the fourth quarter to $5.4 million, as compared to $158.5 million this time last year. Although the sales revenue were up 3% to $2.52 billion, like for like sales actually decreased by 8%. This shouldn’t really come as a surprise then since consumers are cutting back on what they deem “luxuries” and are more cautious about their spending and are literally watching their pennies. Starbucks is perhaps well known for its high prices as much as it is for its coffee. Its share price dropped by 3% after the news broke out and was trading at $9.91. Last year, it would have been worth around $20-$30.Starbucks said that it has seen a decrease in customer traffic, in other words the number of customers visiting its branches, and also, crucially, the value of each transaction per customer. So, it is likely that the increase in sales revenue is likely to be due to the increase in prices. Although drinking coffee is one of life’s little pleasures, its prices in the cafés are anything but little. A cup of coffee for $4 or £2.50 may seem insignificant on its own, but multiply them up for every working day of the month and you are left with a sizeable figure. 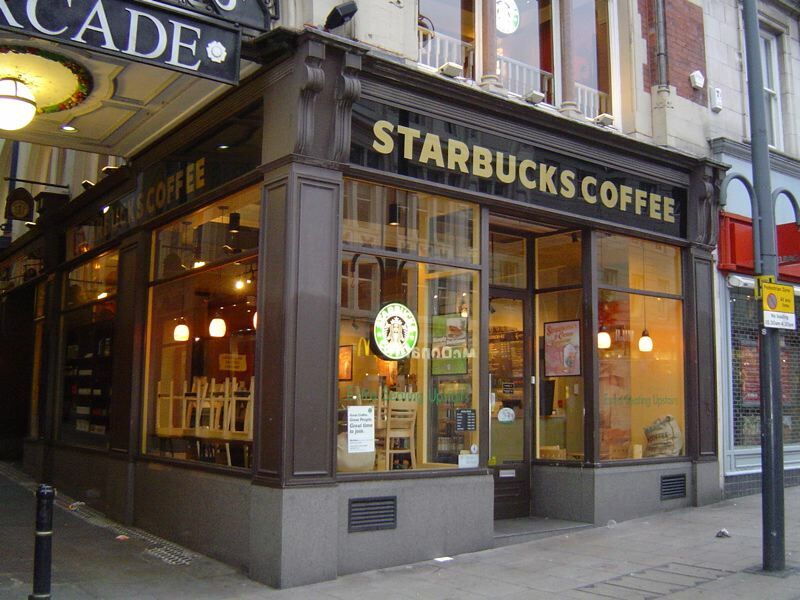 Starbucks could lower its prices, but it is seen as a premium brand and would as a result devalue its brand value. Think of Marks & Spencer’s food range competing on its prices with Tesco’s Value range or Sainsbury’s Basic range and you get the picture about devaluing the brand value. It’s likely that other coffee chains like Café Nero and Costa Coffee would now be worried about their own situation while the likes of McDonald’s will be rubbing their hands with glee at the prospect of attracting coffee drinkers with their cheap prices. McCoffee anyone? 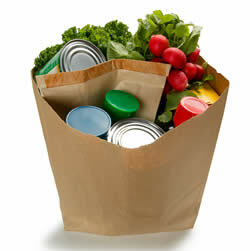 It was reported this week by the BBC that food prices have risen by 8.3% since January this year. This is based on the figures from a survey carried out by Verdict Research specifically for the BBC. A packet of ham, a pack of four croissants and a medium sized chicken were among the seven products whose individual prices had risen by more then 40%. Among the 13 categories into which all the products were classified, Meat and Fish rose the highest, by 22.9%, followed by Store-cupboard items and Fresh Fruits and Vegetables which rose by 15% & 14.7% respectively. Inflation is also affecting the sales of organic produce which fell by 8.1% as compared to last year according to the analysts TNS. Families with low income are unable to afford the high price of organic produce and more people are increasingly switching to buying supermarket own-brand products. Supermarket Sainsbury’s believes that most people no longer perceive supermarket own-brand products in a negative manner nor are they embarrassed of buying them and are beginning shift to buying own-brand products to help cuts their costs. According to Marketing Week, Sainsbury’s research showed that a minority of the people believed that the brand they bought reflected on them as a person. To make the most of the current situation, Sainsbury’s launched an ad campaign on the 5th of September called “Switch & Save” to encourage their customers to buy the supermarket’s own-brand products. The link to watch the new Sainsbury’s advertisement is given below.